March 4, 2019: Pender County is excited to introduce Cynquetta Newkirk as the new Hazard Mitigation Specialist. This position will oversee the Hazard Mitigation Grant Program. Cynquetta can be reached at 910.259.0302 for questions regarding the grant. VERY IMPORTANT: HMGP applications were sent in March but not timetable has been given by the State. If the process follows a similar path that it did with Hurricane Matthew, notifications of accepted applications would be received in the mail at the end of June. NEW: Website for local resources has been established called Pender Long Term Recovery Group (https://www.penderltrg.com/). The website is for those that need help and those that want to help. Following a federally declared disaster such as Hurricane Florence local governments are eligible to apply for Hazard Mitigation Grant Programs (HMGP) that will reduce or eliminate the loses from future disasters. Projects must provide a long-term solution to a problem, for example elevation of a home to reduce the risk of flood damage as opposed to buying sandbags and pumps to fight the flood. In addition, a project’s potential savings must be more then the cost of implementing the project. These activities may include elevating structures in the regulatory floodplain, acquiring (“buy-out”) property to prevent losses, or retrofitting structures to minimize future damages. These activities have not been activated by FEMA or the State of North Carolina and therefore Pender County is unaware of any potential funding amounts or timing of HMGP funding. Projects such as these have taken years to receive funding and are not designed to provide immediate relief from the devastating effects of natural disasters. To be eligible to apply for HMGP, an applicant must be the homeowner and the damaged home must be their primary residence. Additionally the applicants home must be in the 100 year floodplain. Homes that are out of the floodplain or are in the 500 year designated areas are not eligible to apply. Acquisition: The acquisition or “buyout” of a home uses FEMA funds to purchase the structure and land from a willing homeowner. The homeowner is offered pre-disaster fair market value for their structure as determined by a certified appraiser, and the home is then demolished and the land is deeded to the local government with an open space restriction. The property must have clear title. The land must remain open in perpetuity to restore or conserve natural floodplain functions. Before the homeowner receives the funds from the selling of the home any Individual Assistance or Flood Insurance funds not used to repair the home will be deducted from the balance due to the owner as a duplication of benefit. Homeowners are strongly encouraged to keep any and all receipts for repairs they have made. Elevation: Elevating a home is the physical raising (elevation and foundation retrofit) of an existing structure to an elevation at the Base Flood Elevation (BFE) or higher if required by FEMA or the local ordinance. Pender County requires homes in the regulated floodplain to elevate 2 feet above the base flood elevation. The project pays for engineering to determine if the home is feasible to raise, then elevates and retrofits the foundation. Mitigation Reconstruction: Mitigation Reconstruction is the construction of an improved, code-compliant, elevated home on the same site where the existing home has been partially or completely demolished or destroyed. This option is available to those with existing homes that are not feasible for elevation due to deferred maintenance or storm damage to the foundation, flooring, or stabilizing walls of the home. Benefit Cost Analysis: For these priority project types, the FEMA pre-calculated benefits are still in effect for properties in the Special Flood Hazard Area (i.e. “AE Zone.”) Note that properties may be aggregated in order to produce a cost effective result. North Carolina Department of Emergency Management (NCEM) will conduct benefit cost analysis to ensure maximization of eligible properties. Properties outside of the Special Flood Hazard Area (i.e. “X zone”) are being considered in this analysis; communities are encouraged to submit whether inside or outside of the SFHA and NCEM Staff will conduct Benefit Cost Analysis. 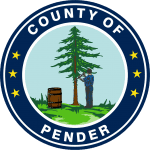 Pender County is creating a list of potential applicants when and if HMGP funding applications are made available. Applying is not a guarantee of being approved. 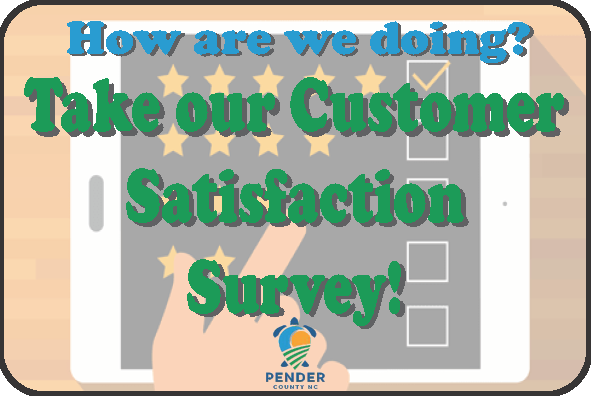 If your home meets the above criteria and you would like to be added to Pender County’s list please complete the attached form (http://www.pendercountync.gov/pcd/documents-base/property-site-inventory-form) and take 4 photos of your home (front left, rear and right) and send these to charris@pendercountync.gov. Homeowners affected by Florence who need help clearing disaster debris, tarping disaster damaged roofs, or cleaning up their disaster-damaged homes may call Crisis Cleanup at 800-451-1954 to be paired with voluntary agencies. All services are free. Free legal services are available for low-income survivors of Hurricane Florence. For legal assistance, call the Disaster Legal Hotline at 833-242-3549. If you’re feeling stressed or overwhelmed by Florence, call the Disaster Distress Helpline at 800-985-5990 any time day or night to speak with a trained crisis counselor. Or text TalkWithUs to 66746. For Spanish, text Hablanos to 66746. Along with FEMA grants and SBA loans, farmers and ranchers are eligible to apply for emergency loans through the U.S. Department of Agriculture’s Farm Service Agency (FSA). For more information, go online to fsa.usda.gov or visit the nearest FSA office. Division of Employment Security. The deadline to apply has been extended to Oct. 31, 2018. FEMA works closely with state, federal, faith-based and voluntary agency partners. Survivors who do not qualify for FEMA disaster assistance may call 2-1-1, the statewide information and referral service for basic unmet needs.